Adults in an adult body or, adults in a babes (not the hot-kinda, but the small-kinda) body would both know ’bout the ever expanding sectors in the country (and, the world as well). Entities from both these categories have one thing in common-DECAY! Paulo Coelho may say, “Once you make a decision, the universe conspires to make it happen”, but a look at his face and you know he too is caught up in the process of decay. This process entitles each one of us to fall sick, fall down, break a bone, at times by being stoned…….. sickness is an integral equipment of the process of decay. You and I, victims of this process, generously contribute to this fastest growing sector of the world-PHARMACY. If you just looked heavenwards and thought to yourself, “I don’t!”, then you must read on. India, for ages now, might have been struggling to walk abreast with many leading countries in the world, but pharmacy has always witnessed our keen participation. We are the fourth largest country in the world in terms of med production and thirteenth in terms of market value. And these are not my words, if the name Mckinsey rings a bell, then these analysis would now seem more trustworthy to you. We have made a place for ourselves in the top fifteen drug manufacturing countries in the world. In short, we produce enough for ourselves and our foes and friends around. So, an app to keep up with the driving force of this industry is mandatory. Driving force? Demand! And why would you demand it? Because I fall sick? I want to stay healthy? I don’t want to be pregnant? Yes, but why do you keep going back to the mogul of the economy? Ongoing demand? Yes! As every good thing comes to an end, medicines too (without being all that good) comes to an end, as well. You finish a course, you need more. You are fit and fine and then all of a sudden contract a new swine (all thanks to H1N1). If you forget to eat these meds, you are throwing a wrench into the pharma industry’s plan to prosper even more (and, don’t you forget, the med’s plan to restore your health as well). 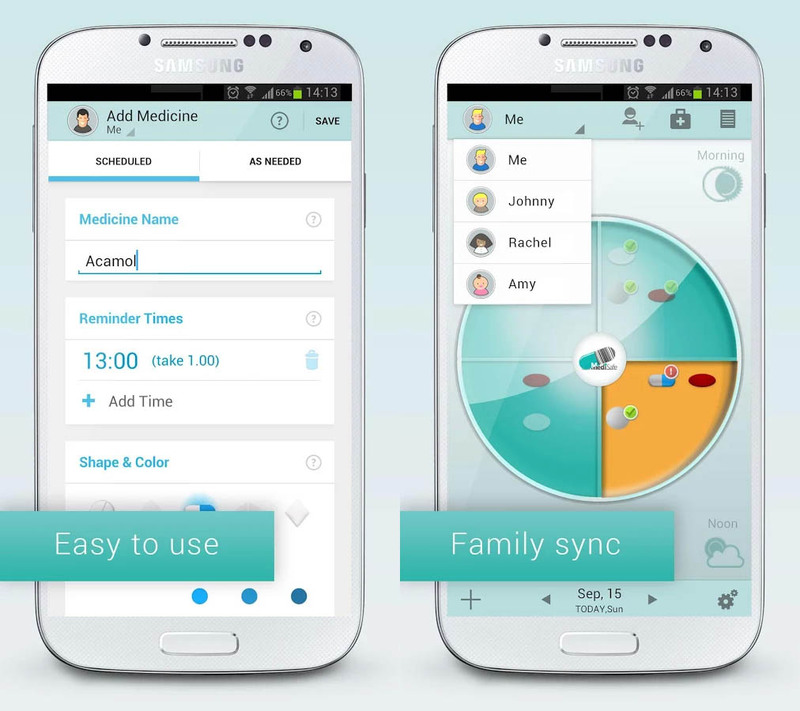 MediSafe Medication Reminder and Pill Organizer can be friends with your constant companion (mobile phone) thereby, establishing an amicable relationship with your green, red and yellow which makes you mellow pills. Another app? Yes, another app which has lifesaving characteristics. How? 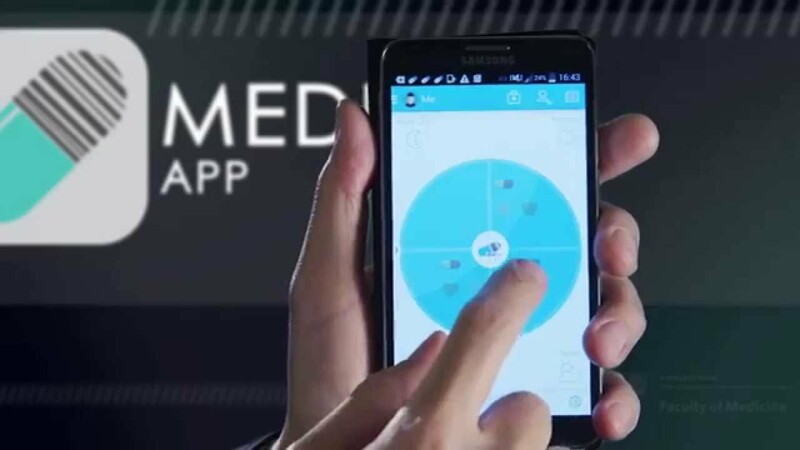 I have a strong memory as a Hamster and have a track record of skipping my medicine on regular intervals, if these words describes you with utmost precision, then MediSafe is just the app for you. It does the noble job of notifying the ones who mean the world to you that you just forgot to pop a pill. Results? Mom screaming, Dad sounding ominous, friend blackmailing and a call from all those who care about you reminding you to swallow the big, bitter piece of miracle. Gawd, that’s petrifying. My mom screaming…shudder.. In such a case you can choose not to notify mom and keep the matter just between you and your app who’ll gently remind you when it’s time to pop a pill. It has a clean interface which divides the day into quarters and colorful markers indicating which one to swallow when makes it a hit amongst the careneeder and caretaker. How does it know when should I take what and in what measure? You feed in that part once and forget all about it as it syncs these information with cloud and does its job of reminding you (and, your fam and friends) when it’s time to treat yourself with a pill. Once done, a green tick indicates completion of the task. Did you pop a pill today? Exciting,right? But then, medicines were never exciting. But apps and gadgets are, right? 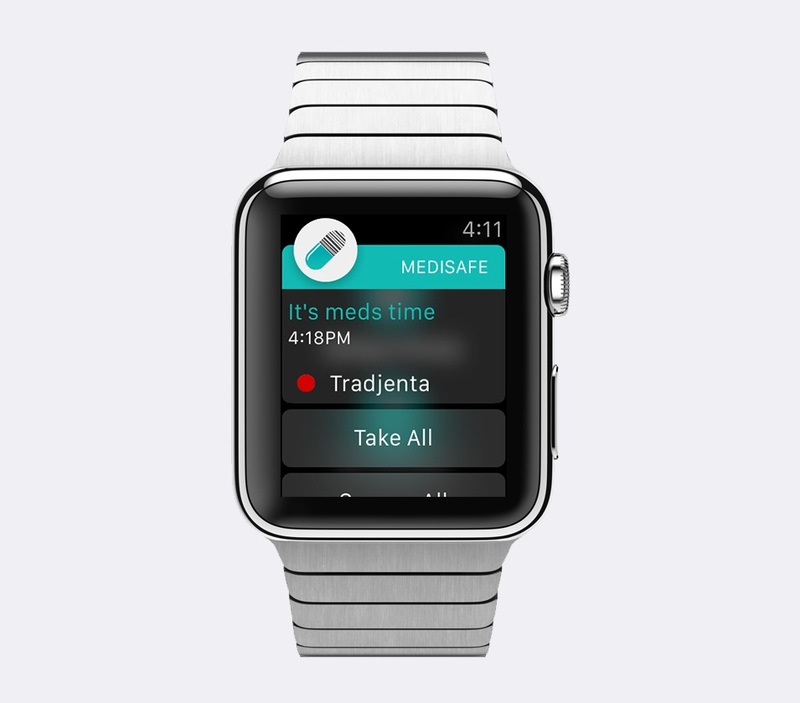 You would be glad to know it is supported by Apple watch, Android app – medsafe and iOS medsafe app; all awake or asleep would do the job faithfully till the time your medicines go on a leave. Sick or healthy, wealthy without being wise….MediSafe Medication Reminder and Pill Organizer is for all.